King 3.75" coil springs are for 3.0" diameter shock bodies. 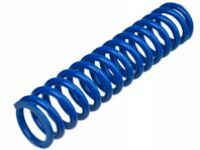 Lengths and spring rates are listed below next to the corresponding part numbers. 1. 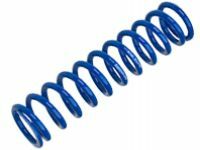 King coil springs are manufactured to our specifications right here in the USA. 4. Specifically wound for off-road applications; spring rates, wire diameters and coil lengths have been developed through extensive real world testing on all types of terrain. 3. Coils are closed and ground to sit flat and deflect true.